We supply cork granules direct from our facilities in Portugal to customers all round the world. We regularly get asked about the options for different densities and the reasons that costs vary so much for different densities, so here is an explanation. Note how the corks are being taken from nearest the edge opposite to the dark, woody outside bark. Once these high quality corks have been removed, the remaining bark is sent to be granulated in a crusher. You can see that these strips of cork that go through the crusher will contain a mixture of densities of granules, because of course not all the lower density cork can be removed when the natural cork are punched out. You can see that because of the much more desirable mechanical and aesthetic properties of the lower density cork, it is much more in demand than granules of higher densities, which are generally used for things like cork underlay, insulation and so on. 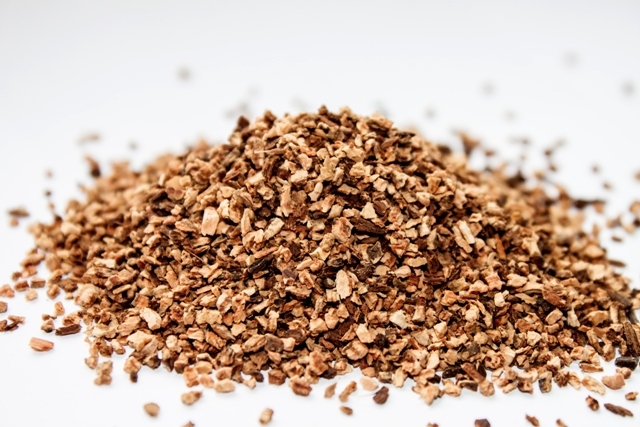 The lowest density cork granules will be of around 60 kg/m3 and the highest density up to 220 kg/m3 and depending on the exact specification, prices can vary from €4 per kg for the lowest densities down to €1 per kg for the higher densities. If you need a cork granules supplier, then please contact us at CorkLink for more information.